The Magnum Auto Gen Start will keep your battery bank charged when you are not home to read the meter. You can sleep soundly knowing that the Auto Gen Start will recognize when your refrigerator has drained your batteries and it's time for your generator to supply a much needed charge. Battery start voltage, start temperature, run time, and quiet time are all easily adjustable (quiet time only available with AGS-N model.) 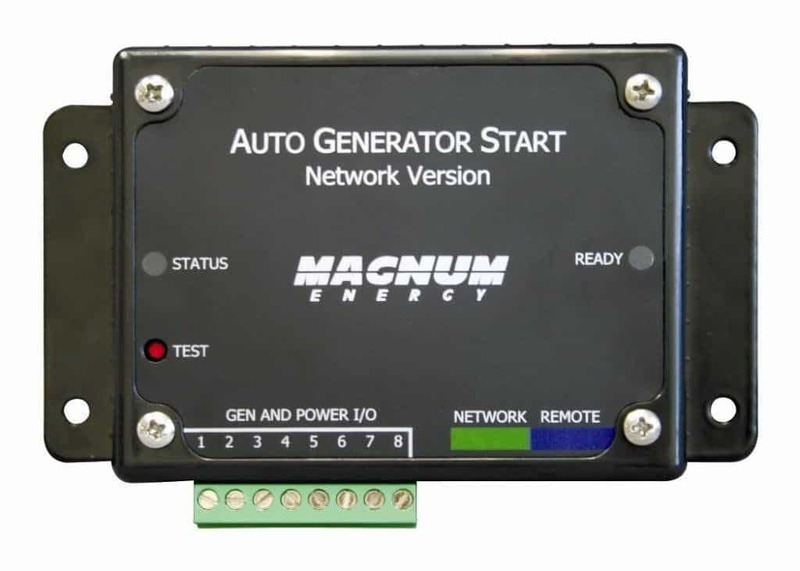 The Auto Gen Start settings do not prevent manual start / stop operation of the generator. You can use any existing start / stop switch in your coach. The Magnum AGS is compatible with most generators, including Onan, Powertech, Generac, Westerbeke, Kohler, EPS, and Northern Lights. The AGS-S works as a stand alone model, while the AGS-N Network version works in combination with the ME-ARC or ME-RC 50 remote control monitoring devices.